Waiting by Wednesday is a meme hosted by Breaking the Spine! This post highlights a book that I am dying to be released!! Ava, a teenage girl living aboard the male-dominated deep space merchant ship Parastrata, faces betrayal, banishment, and death. 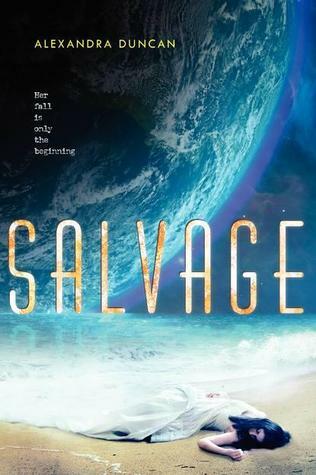 Taking her fate into her own hands, she flees to the Gyre, a floating continent of garbage and scrap in the Pacific Ocean, in this thrilling, surprising, and thought-provoking debut novel that will appeal to fans of Across the Universe, by Beth Revis, and The Handmaid's Tale, by Margaret Atwood. This one looks fantastic! I LOVE, LOVE, LOVE Aliens so I can't wait to see what the author's done with this one! I read a post written by the author the other day and she seemed really interesting! Can't wait! OOoh that looks intriguing! Loving the cover! I absolutely LOVED Across the Universe by Beth Revis, so if it's anything like that, I'm in! GREAT pick this week! I am so excited to check this book out! It sounds fantastic and Across the Universe was beyond amazing! Hope you enjoy it! What's a bestseller to you?